Biology, the study of life and of living organisms, is one of the most exciting subjects in the sciences. Here, among other things, the student learns how cells and organisms function on the molecular, cellular, and ecological levels of organization. This knowledge is foundational for all health sciences and for nutrition. However, biology taught in secular settings has become “evolution in action,” the epicenter of materialism, which posits that “physical matter is the only reality and all beings, processes and phenomena can be explained as manifestations of matter.”1 It is now the orthodox tenet of biology that evolution is the engine that propels the emergence of new species. The title of the famous article by Theodosius Dobzhansky, “Nothing in Biology Makes Sense, Except in the Light of Evolution,”2 has been repeated so many times that it has become dogma for biology teachers. Standard biology textbooks use such logic to explain the existence and functioning of organisms. Predictably, biology teachers in Adventist schools are challenged to present their subject from the creationist perspective. The second part of this article describes the writer’s journey toward a re-formulation of creationism in response to the thought-provoking comments on the topic by the Spirit of Prophecy. An invitation is extended to colleagues to consider a new term, “Superintended Creationism,” which confesses an absolute requirement for the created world of God’s sustaining power. 2. The biodegradability of all naturally made organic substances. Biologists are not aware of any naturally occurring organic substance that is not metabolizable. If naturally made organic substances were not biodegradable, there would be large deposits of unusable organic matter everywhere, cluttering up nature and eventually causing severe shortages of the all-important carbon. One of the largest oil spills in history, occurring in April of 2010 in the Gulf of Mexico,7 leaked an estimated 210 million gallons of crude oil and resulted in a catastrophic environmental disaster. Its negative impact is still felt in the region. One consequence of this event, however, was a dramatic increase of the levels of aquatic microorganisms that metabolize oil and gas.8 The Creator made provisions even for this manmade catastrophe. He does not tolerate waste. However, when humans pollute the environment with manmade, non-biodegradable objects, we undermine and counteract His design. 3. Enzymes catalyze essentially every chemical reaction in living matter. Many substances in living matter have the potential of chemically interacting with one another, yielding compounds that would be useless or even toxic. Such interactions could undermine live processes. Enzymes speed up biologically useful chemical reactions by orders of magnitude over spontaneous, random chemical events in cells ensuring orderly metabolism. Thus, substances in living matter are ushered along predetermined metabolic pathways as they accomplish growth, movement, metabolism, and replication. 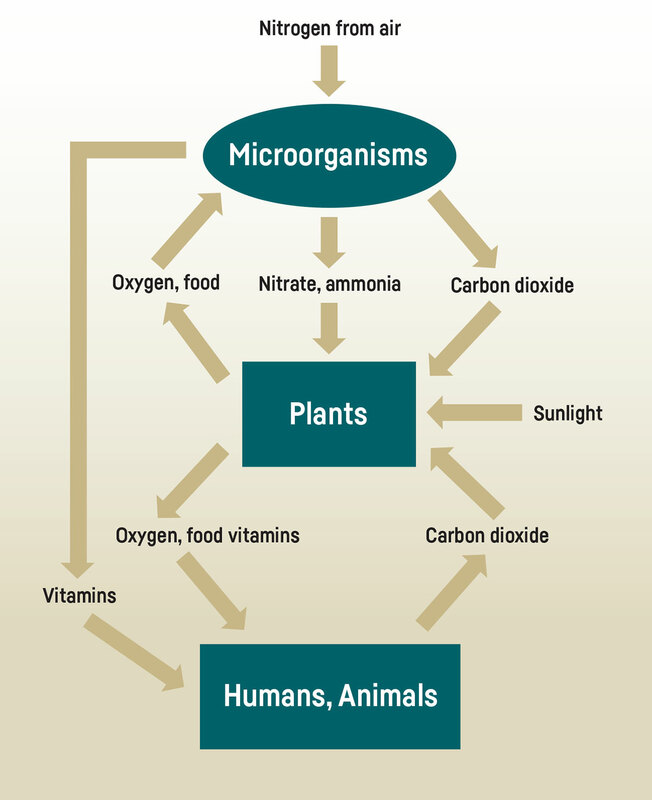 In the study of metabolism we see how the Creator optimizes the workings of living matter. 5. 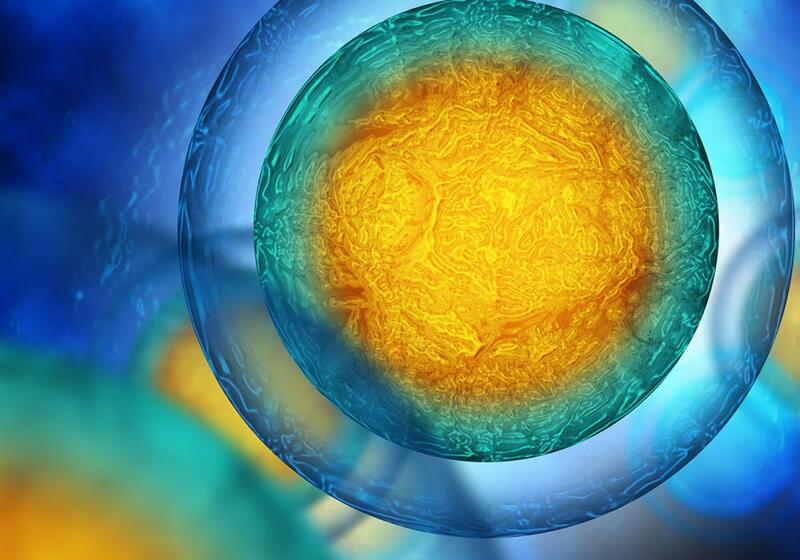 The existence of apoptosis, the programmed self-destruction of entire cells, in order to promote the orderly development of tissues in plants and animals, as well as to preserve the health of the tissues. Just as worn-out molecules are degraded, old cells from the tissue are also degraded. In the course of seven to 10 years, every cell in our bodies, except for the brain cells, is replaced. Imagine the dire consequences of a failure of controlling apoptosis or trying to establish it by trial and error. 6. The existence of topoisomerase II enzymes, which, during replication, cut both strands of DNA while holding onto the strands. During replication, it is necessary to separate the two strands of the genetic material. But at the replicating fork, the point of strand separation, there is a tightening of the yet unseparated strands of DNA. Without the cutting of DNA strands to relieve the tension, DNA replication would come to a halt. When the topoisomerase II enzyme cuts both strands of the DNA temporarily, all that stands between life and death of the cell is the tight grip of the enzyme on each DNA strand. Thus, at every replication cycle, the cell is pushed to the edge of death. Imagine the difficulty of such an enzyme coming into existence by trial and error. 7. The mechanism of the peptidyl transferase reaction on ribosomes, which creates the peptide bonds of proteins, is identical (in the reverse direction) to that of the protein-degrading enzyme chymotrypsin. Ribosomes are the sites of protein synthesis in cells. They are large sub-cellular complexes, composed of several molecules of ribonucleic acid and more than 50 proteins. For many years, scientists did not know which of the more than 50 proteins of the bacterial ribosome catalyzed the formation of peptide bonds.10 Then, after the three-dimensional structures of ribosomes were determined, it was discovered that the ribosome’s catalytic center is not on any of its proteins but at a special location on one or more of its ribonucleic acid segments.11 The process of peptide bond formation turned out to be identical to the exact reverse of the way peptide bonds are broken up.12 The surprising thing is that in ribosomes, nucleotide bases are doing the same work as amino acid residues of the protein chymotrypsin. Because of the great abundance of living forms, the reality of existence in a biosphere among millions of different organisms is frequently taken for granted. The level of sophistication in the design and functioning required even for the simplest of organisms, bacteria, is seldom appreciated. Our considerable knowledge of biology and technical capacities are in­adequate to manufacture a live bacterium. Nor can we restore to life a dead cell. The great advances in life sciences are all about discovering how everything works. Students deserve to be taught that the very existence of life is incontrovertible evidence of the Creator’s existence. This illustrates the elegance of the Creator’s genius of solving biochemical problems. In this instance, the formation (and degradation) of peptide links are catalyzed by selected amino-acid residues in the enzyme chymo­trypsin and by purine and pyrimidine residues in ribosomes. 8. The absolute avoidance of equilibrium in the hundreds to thousands of chemical reactions in living matter, in spite of the fact that every reaction is pushed vigorously toward equilibrium by an enzyme. Every chemical reaction has a beginning, a middle, and an end. All isolated (or closed) chemical reactions reach a state of equilibrium, where no further net chemical change happens. Life, on the other hand, depends on continuous chemical changes in cells. In living matter, most chemical reactions participate in metabolic pathways where reactions are in open systems, where there is a steady supply of reactants and removal of products. If, for whatever reason, this stops, and chemical reactions reach their equilibria, the cell dies. The Le Chatelier’s Principle in chemistry states that once a chemical reaction reaches its equilibrium, it will not revert to a non-equilibrium state spontaneously. Chemical evolutionary scenarios all postulate that life happened spontaneously by the step-wise development of enzymes (protein or RNA molecules), which promote single chemical steps. Therefore, even if all of these postulates were true, they would only result in a collection of isolated chemical reactions, all in states of equilibria. In order to form living cells, all of the chemical reactions in cells would have to be present simultaneously, linked in states of non-equilibria; however, the Le Chatelier’s principle forbids the spontaneous conversion of chemical reactions from states of equilibria to states on non-equilibria. Therefore, all claims that suggest a spontaneous emergence of a living cell under any conditions are an impossibility! 9. We cannot reverse death or create life in the laboratory. Because of the great abundance of living forms, the reality of existence in a biosphere among millions of different organisms is frequently taken for granted. The level of sophistication in the design and functioning required even for the simplest of organisms, bacteria, is seldom appreciated. Our considerable knowledge of biology and technical capacities are inadequate to manufacture a live bacterium. Nor can we restore to life a dead cell. The great advances in life sciences are all about discovering how everything works. Students deserve to be taught that the very existence of life is incontrovertible evidence of the Creator’s existence. “These and other similar passages in the writings of Ellen White suggest the Lord’s intimate engagement in the operation of our world. But science and scientists, including this writer, are clueless to deal with such a concept. To us matter behaves in a perfectly predictable manner, obeying the fundamental laws of gravity, attractions between positive and negative charges, etc. Chemical properties of each element depend on the configuration of its valence electrons. Biochemical properties of living matter are understood, based on the characteristics of proteins, nucleic acids, carbohydrates and lipids. “While it may be suggested that the Lord works precisely through these and other laws of nature, it is an unsatisfactory solution, because it is not testable. “Moreover, it renders the Lord directly responsible for every undesirable physical event in the world. If the Lord directly pushes atoms and molecules around, then He would surely stop doing it when it comes to an explosion by a suicide bomber! As creation scientists, we should be less smug about our understanding of the relationship between the Creator and His creation. In the past several years, little has been done to advance this topic; yet, it continues to be one for which many science teachers (and presumably students and even their parents) struggle to find answers. What if the Lord’s involvement in nature is much more robust than previously imagined? What if all the laws of physics, chemistry, and biochemistry, which govern the behavior of matter, were dependent on the continual expression of the Creator’s power? In this paradigm, the Creator would not be micromanaging every chemical transformation in nature; rather, His power would be required for the continual existence of subatomic particles, for the phenomenon of gravity, magnetic forces, positive and negative charges, etc. I am suggesting that we call this concept superintended creationism to emphasize the Creator’s continued sustenance of creation. It removes the possibility that matter on its own would organize itself into planets, stars, and galaxies in space. It negates the chemical evolutionary doctrine that life arose spontaneously on a hypothetical primordial Earth and eliminates any notion of the evolutionary “tree of life,” which purports to show the evolutionary linkages of all organisms. Superintended creationism moves the doctrine of creation from the past to the present, in that we continually are mindful of the Creator’s sustaining power in our lives. Sabbath keeping is not just about the past, but also about the present and the future. We are safe from destruction in the hands of our caring Creator! To be sure, the Lord “causes his sun to rise on the evil and the good, and sends rain on the righteous and the unrighteous” (NIV).16 God underwrites the existence of evil with the hope that some will turn from their destructive ways. This fact alone ensures that current conditions will not last indefinitely. The tide of evil washing over the world must pain the Lord greatly. The many-faceted implications of superintended creationism remain to be identified. The immediate task for Christian teachers of biology is to teach their students not to view ecosystems, organisms, cells, or enzymes ONLY as highly sophisticated machines (which they are), but rather as precious expressions of the Creator’s sustaining love. 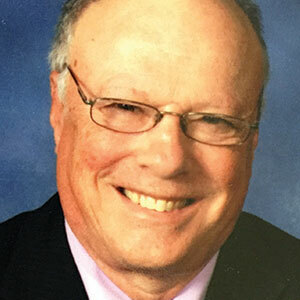 George T. Javor, Ph.D., is Professor Emeritus of Biochemistry at the School of Medicine, Loma Linda University, Loma Linda, California. He holds a B.S. in chemistry from Brown University, a Ph.D. in biochemistry from Columbia University, New York, and has completed postdoctoral studies at Rockefeller University. In addition to his most recent book, A Scientist Celebrates Creation (Fort Oglethorpe, Ga.: TEACH Services, Inc., 2012), Dr. Javor has published more than 40 technical papers and abstracts in the area of biochemistry and a similar number of articles on science and the Bible. Theodosius Dobzhansky, “Nothing in Biology Makes Sense Except in the Light of Evolution,” The American Biology Teacher 35:3 (March 1973):125-129. Nathan S. Garcia, Fei-Xue Fu, and David A. Hutchins, “Colimitation of the Unicellular Photosynthetic Diazotroph Crocospharea watsonii by Phosphrous, Light, and Carbon Dioxide,” Limnology and Oceanography 58:4 (July 2013):1,501-1,512. doi: 10.4319/lo.2013.58.4.1501. J. M. Conly et al., “The Contribution of Vitamin K2 (menaquinones) Produced by the Intestinal Microflora to Human Nutritional Requirement for Vitamin K,” American Journal of Gastroenterology 89:6 (June 1994):915-923; Chik H. Pai and Herman C. Lichstein, “The Biosynthesis of Biotin in Microorganisms: The Physiology of Biotin Synthesis in Escherichia coli,” Biochimica et Biophysica Acta 100:1 (April 1965):28-35. Smithsonian, National Museum of Natural History, “The Gulf Oil Spill”: http://ocean.si.edu/gulf-oil-spill. Accessed July 5, 2016. Eric A. Dubinsky et al., “Succession of Hydrocarbon-degrading Bacteria in the Aftermath of the Deepwater Horizon Oil Spill in the Gulf of Mexico,” Environmental Science & Technology 47 (August 2013):10,860-10,867. George T. Javor, “The Bible and Microbiology.” A paper presented at the Institute for Christian Teaching’s Second Symposium on the Bible and Adventist Scholarship, Juan Dolio, Dominican Republic, March 15-20, 2004: http://fae.adventist.org/essays/31Bcc_183-210.htm. Albert G. Moat, John W. Foster, and Michael P. Spector, Microbial Physiology, 4th ed. (New York: J. Wiley and Sons, 2002), 63. Donald Voet and Judith G. Voet, Biochemistry (New York: J. Wiley and Sons, 2004), 1329-1330. Job 34:14, 15. Texts in this article marked NIV are quoted from the Holy Bible, New International Version®, NIV® Copyright © 1973, 1978, 1984, 2011 by Biblica, Inc.® Used by permission. All rights reserved worldwide.